Ideal family home on a bright south facing lot in prime Lower Grand Boulevard/Calverhall location. 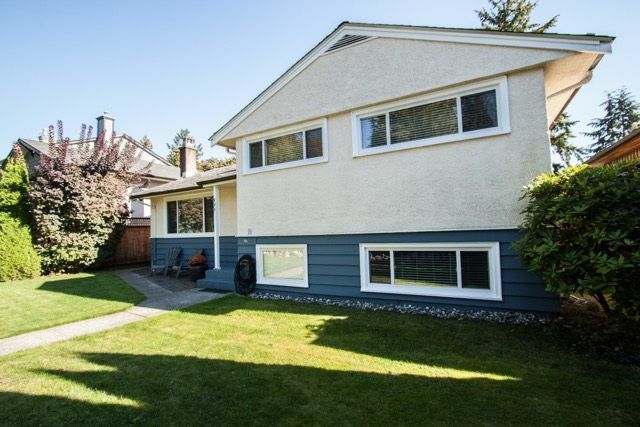 This well maintained and loved home features: original oak hardwood floors, newer open plan kitchen, gas fireplace, big sundeck and a fully fenced backyard with lane access ideal for the kids to play. Just steps to Brooksbank Elementary and very central to all amenities. Fully insulated over-sized garage/studio makes for an ideal home office. Three beds up and another down plus a ton of dry storage in the crawl space. Don't miss this one!